The doctors at Mental Health Partners realize that it is often very difficult to get an appointment with a psychiatrist in the Kansas City area in a timely manner. We want to help as many patients as we can possibly help. In order to avoid giving incorrect information about the potential wait for an appointment, we typically keep a waiting list and call patients in the order that they have been placed on the list when new appointments actually become available. While times vary extensively depending on the situation, it is typically taking more than 2-3 months from the time a patient requests to see one of our doctors until they are able to be seen. If you cannot wait for one of our doctors to become available, please feel free to look into our "Crisis Information" page under the "Patient Information" tab at the top of this page for some other potential resources. Doctors at Mental Health Partners have been providing psychiatric care to Kansas City area patients for over four decades. Inpatient (hospital) care was part of the practice up until 2001. The doctors now specialize solely in outpatient psychiatry and see patients of all ages. Warren G. Phillips, M.D. founded the practice in 1967 along with G. R. Wurster, M.D. after finishing their psychiatric residency training at The University of Kansas Medical Center ("KU Med"). G. R. Wurster, M.D. continued in the practice as Senior Partner until he retired March 1, 2016. John L'Ecuyer, M.D. joined the practice in 1993 after finishing his psychiatric residency training at KU Med. Judy K. Martin, M.D. and Richard R. Brewington, M.D.--both graduates of KU Med's psychiatry residency as well--joined the practice in 2008. And Zachary Hugo, M.D. joined the practice in 2012 after finishing his psychiatry residency training at the Mayo Clinic (Rochester, MN). A guiding principle uniting all of the doctors practicing at Mental Health Partners is a focus on listening carefully to each patient. This involves spending more time with each patient. Follow-up appointments are typically 25 to 45 minutes in length, according to each patient's needs and preference. 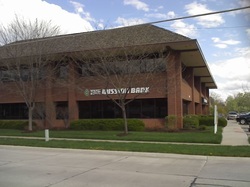 The practice has been located in Prairie Village since it was founded and has been in its current location since 1992. Files and forms available on this website require Adobe Reader.